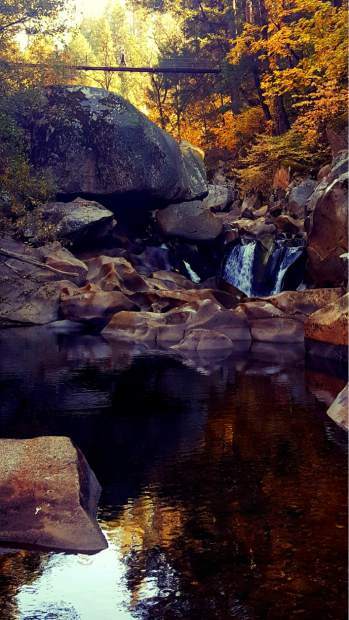 Champion Falls at tribute site Nevada City. 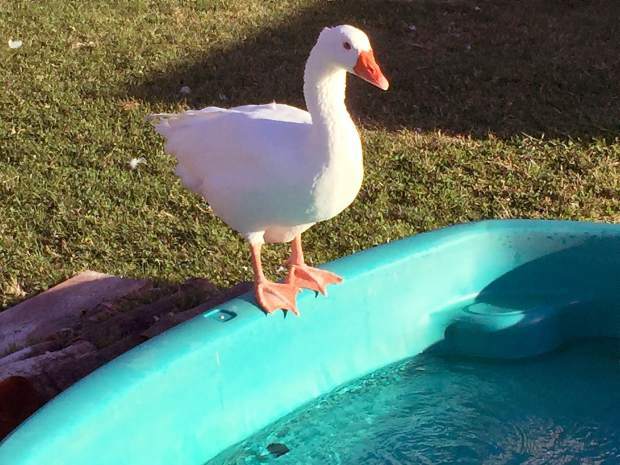 GiGi the goose waits for her pool to fill on Lucas Hill Court. 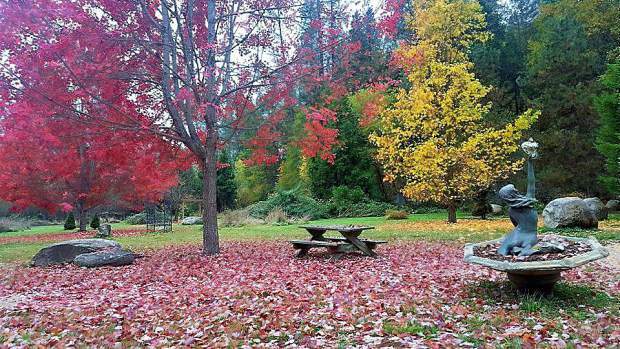 Fall at Trolley Junction meadow in Nevada City. 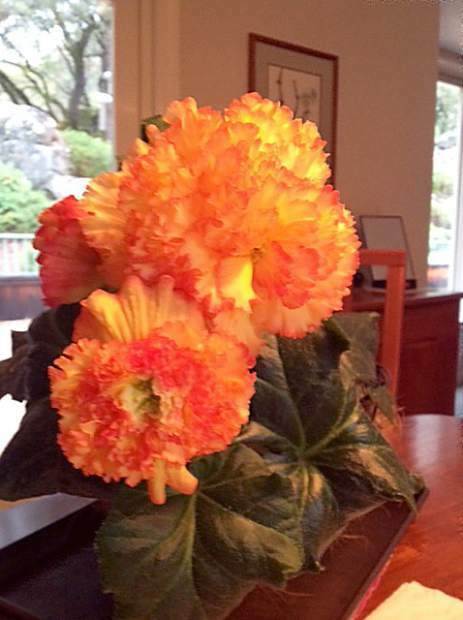 Some local Tuberous Begonia flora picked and displayed. 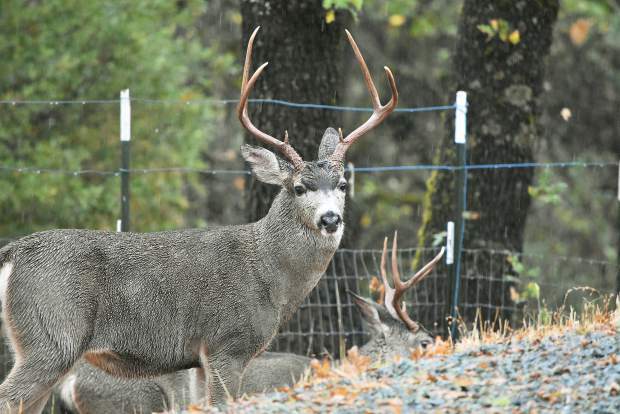 Picture of a buck on Indian Shack Road in Nevada City. 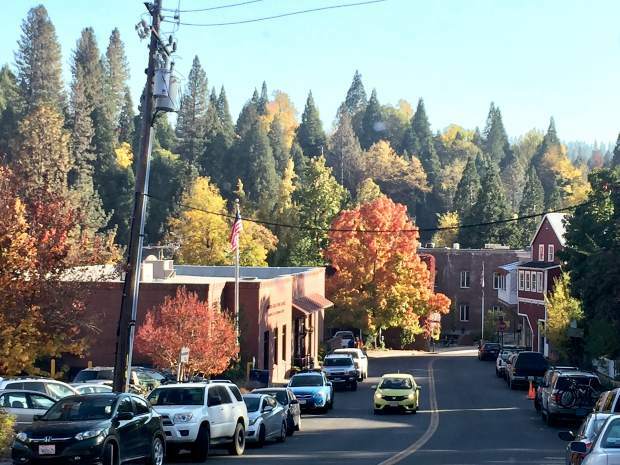 Fall in Nevada City looking down at the post office. 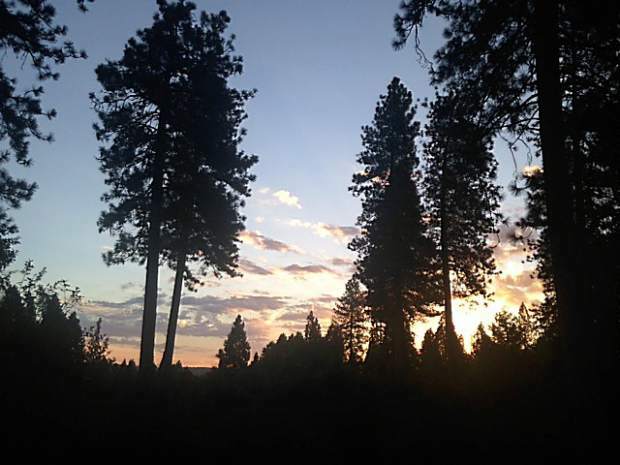 Recent sunrise on Lower Banner Lava Cap.